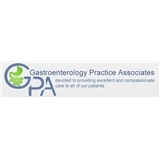 Gastroenterology Practice Associates (Arlington) - Book Appointment Online! Welcome to Gastroenterology Practice Associates located in Arlington and Southlake, Texas. Our physicians take pride in providing the highest level of patient care. We offer consultation, evaluation and treatment in all aspects of gastrointestinal, pancreatic and liver disease. The mission of our practice is to provide quality, consultative, diagnostic and therapeutic endoscopic services to our patients with symptoms and diseases of the digestive tract, liver and pancreas. We are committed to show utmost respect and compassion for our patients and their families. We also strive to provide a convenient and conducive environment for patient- physician interaction. Our practice provides a competitively priced, state of the art endoscopic care.